"The human mind will always rely on one of three basic descriptions to describe that which they cannot fully explain themselves: magic, religion, or a science that is simply unknown to them. 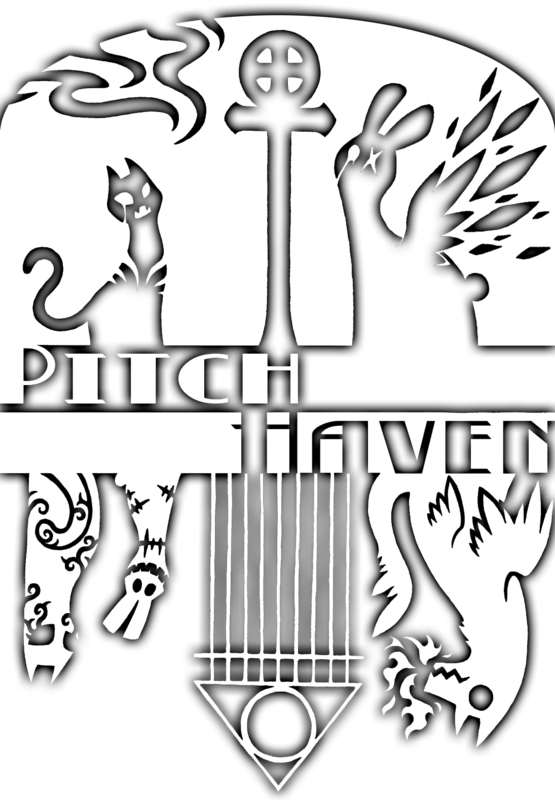 'And' never seems to make an appearance…"
Pitch Haven follows the past, current, and afterlives of Foundation Agents Dr. Stuart Hayward and Agent Sarah Crowely. Assigned together as partners, they have dedicated their lives to locating and capturing all anomalous entities and objects in the Foundation's infamous Las Vegas branch, Site-45. As they work together, both begin to realize that several hellish beings seem to have it in for them and, for reasons unknown, see them as loose ends standing in the way of whatever they are planning. Against their will, the two find themselves on the verge of discovering who, and more importantly, what, they really are. Status: Died in the line of duty (1888-1960); possibly revived as SCP. If so, contained. Personality type omega (Ω); self-assertive, persistent, and, determined, Agent Sarah Crowely worked as a field agent and social engineer for the Foundation, and was partners with Dr. Stuart Hayward. After SCP-1903 infection, Agent Crowely served in the Internal Security Department (ISD) under the guise of a member of Strike Team 45-A. Crowely was born in the Musashi Province of Japan, and adopted at an early age by two American brothers, E████ and T█████ Crowely. Agent Crowely was recruited by the Foundation after her service in the United States as a Military Police investigator, and Protective Service Specialist. Status: [REDACTED] (1888-1998); possibly revived as SCP. If so, contained. Personality type gamma (Γ); intelligent, committed, and mostly solitary, Dr. Stuart Hayward was recruited by the Foundation as a field agent after he graduated from ███ with a doctorate in literature. Hayward is fluent in several languages, including English, French, and Latin and specializes in identifying occult and folkloric themes while providing possible containment and apprehension strategies, and possible origin for many anomalies. After SCP-1903 infection, Dr. Hayward was transferred to radio command. Showed a storgic relationship with Agent Crowely. Dr. Hayward was born in the Warrington district in Cheshire England, and was raised with his grandmother, Acacia Hayward, who suffered from Alzheimer's disease. By 1891, she was bedridden and relied on Stuart for support. Dr. Hayward inherited Acacia's estate and used it to pay for his education. Personality type alpha (A). Fredrick, commonly referred to as Freddie, is an entity capable of self-detonation and rapid reconstruction. Fredrick is intuitive, brave, and at times, callous. It has the appearance of an adolescent black labrador retriever with no snout. Shows hostility towards personnel. It is theorized that Fredrick was previously a Brutus-Class Demiurge entity, and was under the title of 'King' of ████', but lost his title and advantages after Event Nachash. Currently, Fredrick is trying to reach Agatha for 'family' reasons. Fredrick appears to have a positive relationship with Agatha, and does not appear to want to harm it. Fredrick's true goals are currently unknown, but expected to be of a malevolent nature. Personality type sigma (Σ). Agatha, formally known as Agathos, is an entity contained within a ceramic cat statue filled with ink. Agatha is practical, manipulative, and an obsessive perfectionist. Shows disdain towards personnel. Along with Fredrick, Agatha presumed to have been a Brutus-Class Demiurge entity under the title of 'Queen of ███' prior to Event Nachash. Based on relevant documentation, Agatha's goals appear identical to those of Fredrick's, however, Agatha seems to have different motivations and methods of meeting these goals. It appears to be awaiting an event before it comes into contact with Fredrick. It is possible that either Agatha has further anomalous properties or she is awaiting outside assistance. Personality type delta (Δ). Clovis is a Paolo-Class entity who appears to be either a hive mind-like entity spread over a variety of forms, or a series of duplicates consisting of at least one digital hive mind, and one uncontrolled physical body. Clovis is generally very cheerful towards personnel, and appears to show little resentment to the Maker, or humanity. Clovis also appears to be the driving force behind Fredrick and Agatha's plans. It is currently unknown why Clovis is allied with Fredrick and Agatha, as Clovis shares very few ideals with the two. Suspected relations to SCP-1903. The effectiveness in Clovis' current containment is unknown, and attempts are being made to determine if it also exists outside of containment. Personality type omega (Ω); stubborn, passionate, dominant. Salix befriended Willow in ████, and left shortly before Event Nachash. Salix has the appearance of a calico cat, and bears several permanent wounds. Hosts ambivalent feelings towards personnel, due to their previous involvement with his previous caretaker, Josephine (AKA "GREEN KING"). Salix is a Acheron-Class entity, and was contained within SCP-1530, until shortly after the Josephine's death. While being attacked by D-2934, the death of GREEN KING caused an adverse reaction in Salix and Willow, disfiguring and physically impairing both of them. Altercations between Salix, Willow, and D-2934 continued for an indeterminate amount of time before neutralization of SCP-1530 occurred on 3/10/88. Personality type gamma (Γ); modest, astute, devoted. Willow left ███ alongside Salix, though she seems to have other motivations for doing so. Has the appearance of a brown and black beagle. Generally docile towards personnel, but is prone to outbursts. Willow reportedly resided with Salix in Western Europe, until summoned to SCP-1530 by unknown means. Like Salix, Willow is a Acheron-Class entity contained within SCP-1530. The skirmish within SCP-1530 continued for several years; it is presumed that proximity with Josephine during her death caused an anomaly to encompass the house, affecting all three . Both Willow and Salix were relocated to Site-45 shortly after recovery. Personality type omega (Ω). Ananias is a confident, eloquent, Alecto-Class entity that possesses an uncanny intuition that often saves others more often than himself. Formerly a white gyrfalcon, he was associated with both Salix and Willow in ████. Ananias' ranges from apathetic to extremely hostile when interacting with personnel within each floor of SCP-2940. Ananias was crucified with dozens of others after Event Nachash, expelled from ████ and sent across the earth. He was slowly stripped of his senses and physical form, depending on the occupants of SCP-2940 to sustain his perception of reality. He has since permanently ingrained himself within SCP-2940, and shows no interest in escaping. Personality type gamma (Γ); analysis of Izaak's psyche mostly comes from documents obtained from SCP-2746-1. Possibly a Manente-Class Entity, Izaak appeared to be a spotted hyena whilst in SCP-2746-1, and was a prominent healer/doctor. During Event Nachash, Izaak created SCP-2988 and was permanently banished from ████ for his and its actions. From texts obtained from SCP-2746-1, it appears Izaak was forced into a human form before banishment; his current whereabouts/fate is unknown. Personnel are continuously sifting through historical records for more information/clues. Personality type alpha (Α); analysis of Nao's psyche comes from documents obtained from SCP-2905. Nao was apparently a former student of Izaak while in SCP-2746, the latter of whom was directly responsible for manipulating SCP-2905-2 into removing her from ████ to save her from harm during Event Nachash. A colony of SCP-2905-2 exists on an islet southeast of Kyushu, Japan. A possible Georgic-Class entity, records obtained from SCP-2905 suggest she may be undergoing some sort of metamorphosis with the help of SCP-2905-2; further research is needed to confirm Nao's current condition. Site-45 was established as a provisional measure for an abnormally high turnout of anomalous events in the Las Vegas district. Site-45 consists of three structures, Site-45-A, -B, and -C, which are connected through an underground monorail system and elevator. Site-45-A was originally a standalone site under the guise of an office complex. It was originally built outside city limits in 190█, but as the city developed, Site-45-A became within city limits. Site-45-A has been re-purposed as a base for task forces and response teams, and for non-anomalous item storage. Barring permitted personnel with 1903 clearance or similar, SCP objects are no longer permitted. Site-45-B is a newer building under the guise of a private mental care institution, which has been commissioned to provide housing, comfort, and entertainment to Site-45 personnel. Site-45-B has several recreational areas, such as rec-rooms, theater rooms for movies and shows, gyms and training rooms, restaurants, and an enclosed garden. Many residents are not allowed to leave Site-45 for varying reasons, so Site-45-B was built to simulate a small community; not just for anomalously affected personnel, but to provide heavy incentives for living on-site. Site-45-C refers to the large subterranean research facility located 1.56 km underneath Site-45-B and approximately 220 km west of Site-45-A. Site-45-C is the workplace of the majority of Site-45 staff, and handles the research and containment of SCPs found in the area. 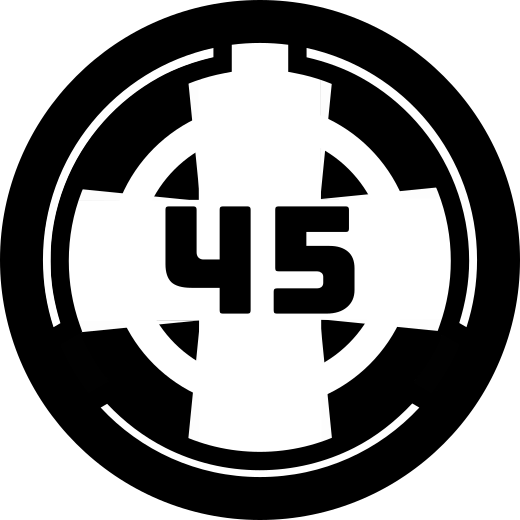 Site-45-C specializes in researching anomalies with ties to various religions and mythologies, and includes a research staff consisting mainly of folklorists, anthropologists, neurologists, particle physicists, historians, sociologists, and linguists. Due to the site's large quantity of living and sapient objects, Site-45-C also houses a robust medical and psychiatric department. Site-45-C's 24th floor is inaccessible due to SCP-1619. SCP-2746-1 is the suspected origin of the majority of anomalies contained at Site-45. SCP-2746-1 is an extradimensional forested area monitored by Site-45-A with a lack of any wildlife. SCP-2746-1 was inhabited by multiple demiurge entities of various strength, but were relocated after Event Nachash. SCP-2746-1 was completely abandoned approximately 200 years ago after the suicides of two remaining entities, S██████ and S███. 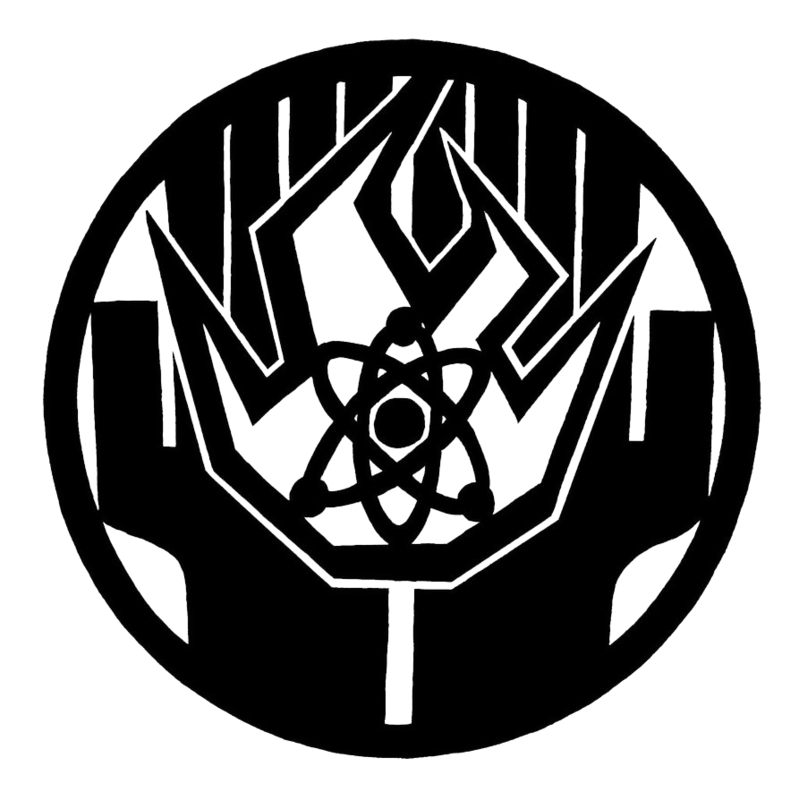 Prometheus Labs was founded by several former denizens of SCP-2746, Led primarily by Agatha White in 1892 as a scientific research and development corporation with the goal of "improving the lives and equipping humanity to handle the paranormal." Many members that helped found or joined PL have claimed it to be an act of redemption or good will. Their HQ was founded in ██████, Nevada; [REDACTED] away from Site-45. On 01/09/98, Prometheus Labs was self-sabotaged, resulting in the Foundation adopting many of their projects. It was only after this event that their relation to SCP-2746 and event Nachash was known to the Foundation. Stuart Hayward and Sarah Crowely were recovered shortly afterwards. It comes highly recommended that you read every document in the 'Documentation' section before you write, and have your draft critiqued by Fantem, in addition to other willing members and staff, but that aside, anyone can write for this project. Once you complete your writing and submit it normally, proceed to the Documentation section. Place your work on the bottom of the 'Published' list. Then, find where your piece fits on this project's timeline in the 'Chrono' section. Proceed to 'Listed'. SCPs are sorted by their number, and tales are sorted alphabetically at the bottom. Finally, go to the bottom graph and add a new column for yourself if you haven't already done so. List all your work in the order you submitted it. If you require assistance, contact Fantem through private message. If you want to add more POIs or locations, be sure to include them in a couple SCPs or tales first; don't just add them because you want to. Don't forget to format their description like the others.